I’ve never really been very interested in Superman. It’s not that I don’t like the character at all; it’s just that he’s not nearly as interesting to me as other super-heroes and fictional characters. But it wasn’t until recent conversations that I figured out for sure why Superman doesn’t make my favorites list. It comes down to things being too easy for him. I don’t mean his heroic battles, though he’s often portrayed as very over-powered. I’m talking about the rest of his life. Superman/Clark Kent had a pretty idyllic life growing up in Smallville, and he doesn’t have any major problems with his life as a top reporter fort he Daily Planet. He’s even got a great girl that he knows is in love with him (or married to him depending on the continuity you’re reading). Characters that capture the attention of fans tend to have a more complex life than that. It doesn’t have to do with fancy powers and great abilities, at least not to me. I’ve been thinking about my favorite characters in fiction and I realized they all have some rather major hardships in their lives, which have me rooting for them. Take another comic-book hero: Spider-Man. 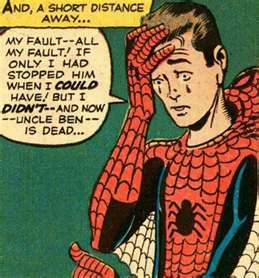 Peter Parker is an orphan, raised by his Uncle and Aunt. He’s very smart, but his brains get him picked on by his classmates, and he’s unable to relate to them socially. For example, asking a girl to go to a science exhibition with him. He’s haunted by his unwillingness initially to be responsible with his powers. He struggles financially to keep himself and his Aunt taken care of. He’s not lucky in love, and has had romances end tragically. When Spider-Man accomplishes something, it’s very easy to be happy for him. And his struggles connect with the struggles anyone has had in their own lives. Here’s an example from books: Harry Potter. Harry is in many ways fortunate. He’s wealthy, he has athletic talent, and he’s even famous among the wizarding world. However, Harry lacks something more important than these things, because he was raised in a loveless household by his uncaring Uncle and Aunt. 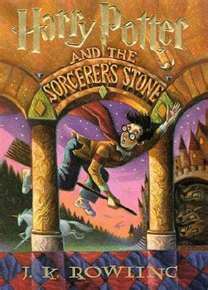 Harry finds happiness and love in the wizarding world not because be learns all kinds of neat magic and flies on brooms and fights evil wizards, but because he finally finds friends and people who truly care for him. My enjoyment in the Harry Potter books came as much from Harry’s journey interacting with other characters at his school as from his quest to finally defeat the evil Voldemort for good. And I was really really rooting hard for Harry to succeed and be happy! My favorite movie is Star Wars. Great action and awesome special effects do a lot to make this one of the most popular movies ever. 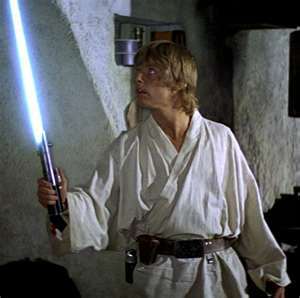 But if you take a look at Luke Skywalker’s life, there are a lot of reasons why fans are interested in his journey. He’s an orphan (that seems to be a recurring theme when creating sympathetic characters, huh?) who knows little about his past. He’s stuck on his Uncle’s farm on Tatooine after his friends have all left the planet. He even loses his Uncle and Aunt. Yet he’s a good kid and he’s willing to work hard to do something important with his life. He’s got really neat powers, like Superman, but he also struggles with life and death and when he wins, you really feel happy for him! As a final genre, I’d be remiss if I didn’t mention Rose Miller from the webseries Out With Dad. No super-powers, but she is very smart and despite the tragedy of her mother’s death, she has a great home life. But she has a lot of obstacles to overcome in her life as she struggles with how to handle her sexuality. She’s an easy character to care about. I know there are stories where the main character is not very sympathetic. Some are good stories. However, my favorite works of fiction are always going to involve some character I care about, and want to succeed. Not someone so flawed as to be unlikable. I want someone to root for! So, I wonder how I’ve done creating characters that are sympathetic. You can check out my webcomic, Mutant Elf, to judge for yourself! 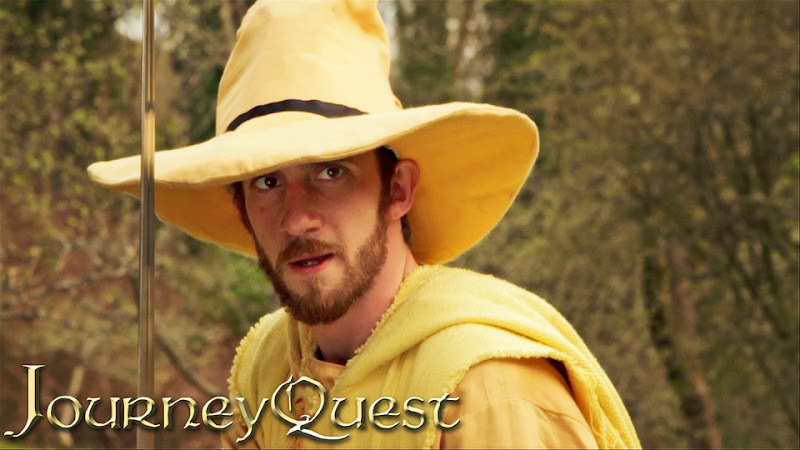 Today I’m going to review a couple geeky Fantasy-based webseries. Pretty in Geek is a humorous webseries about a group of girls who play Dungeons and Dragons together. There’s actually a guy in the group too. I don’t pay much attention to him. Perhaps he’s there to represent all us guys who never got to play with such a group? Anyway, the characters are all based on types of players I’ve seen over the years, so I can relate to the troubles and triumphs of the group very easily, while enjoying their gender. First off, the guy, Jason, is a LARPer. This mean “Live Action Role-Player”, and is someone who dresses in costume and acts out adventures. I’ve never really played with a LARPer, so I don’t know much about them. I’m not sure if, when they LARP, they roll dice or follow a script, or just improvise. Anyway, Jason does a lot of dramatic acting at the table. Then there’s the power-gamer, Anna. Just wants to kills orcs and level up! Gotta admire that. And if you don’t, I think she might hurt you. Erin is the cheater. This type of player I’ve played with too many times. She just can’t get the idea of “let’s just have fun—no winners, no losers” through her thick skull. The final player is Stacey. She’s an airhead. Reminds me of too many “let my girlfriend play-she knows what to do” situations. (They never know what to do.) 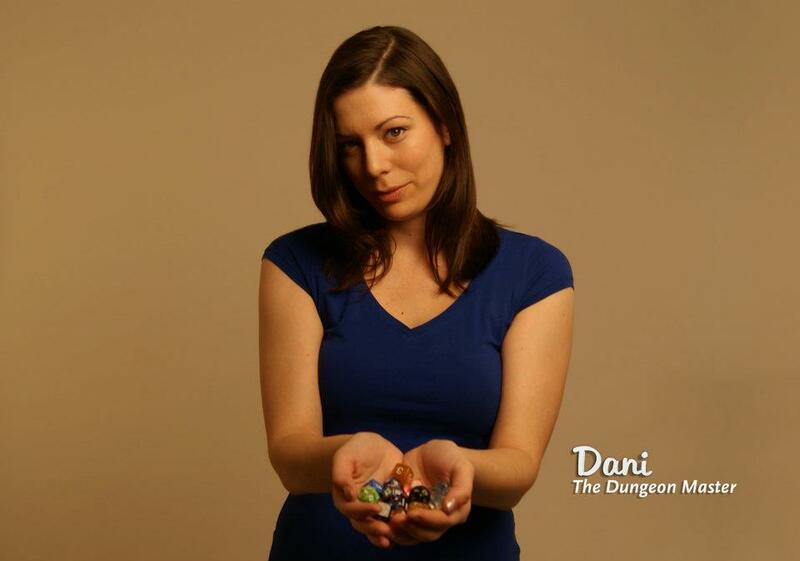 Dani is the DM (Dungeon Master- person who runs the game.) and immediately my favorite character since, in my heart, I’ll always be a Dungeon Master first and foremost. Somehow, she has to keep everyone else focused on the game. Good luck with that! 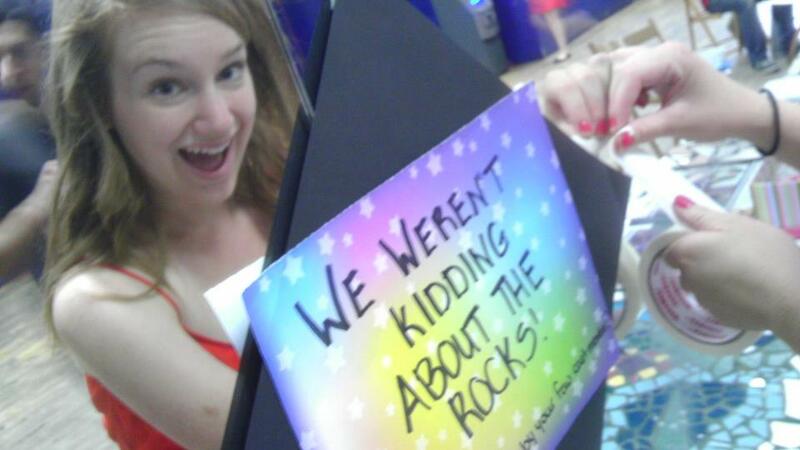 You just gotta love Dani! Pretty in Geek only has one episode out so far. It’s a fun introduction to the characters and situation. It has a funny 1st-edition Bard comment! And also it has a totally surprising ending you’ll never see coming! I’m eagerly anticipating more! Especially Erin getting her comeuppance! Cheaters never win! The second webseries I recently discovered just started its second season. So I’m a bit behind the times, but that’s okay. Just means more to watch! Journey Quest is a comedy about a group of D&D-like adventurers on a journey to complete a quest while being followed around by a cute Bard who’s trying to makes the adventure into an epic! (Again, a Bard! Cool! You know, bards are like the bloggers of olde!) I was a bit leery because of the characters in the quest. They’re just a little too “typical adventuring party” types: dumb Fighter, inept Wizard, kind Healer, and good-looking short girl with fake pointy ears and a bow. Wait a second! I get it! She’s an Elf! Cool! Anyway, the series works well because Christian Doyle, who plays Perf the Wizard, does a very good job. If this character wasn’t fun to watch, the whole thing would collapse! I also very much like the way the plot is a bit more complicated than you first notice, with characters in and out of scenes and interacting at times you didn’t notice at first. The special effects are just good enough that you know what’s going on and just cheesy enough that you know not to take them seriously! And the way our dumb Fighter cleverly solves the riddles in the dungeon, without actually doing anything clever, is rather clever! I’ve just finished up season one, and hope there are plenty more episodes to come. This is one quest I don’t want to see completed! Perf is-yes-a YELLOW-robed mage! Yellow! How 'bout that? Well, there’s my very-geeky reviews of fantasy-related webseries for this week! 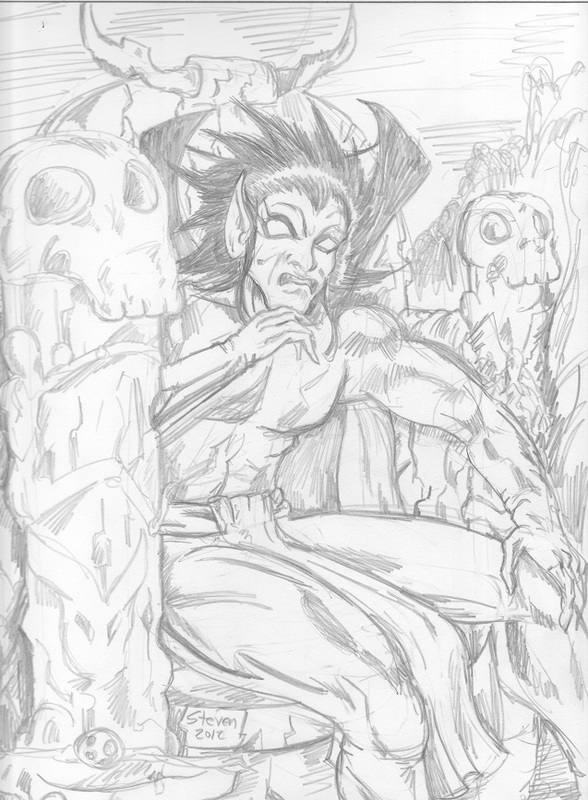 Don’t forget to keep up on my also-geeky also Fantasy-oriented webcomic Mutant Elf! Updated every week! I would like to thank Jason Leaver, writer/director of Out With Dad for recommending Pretty in Geek and “Grypharius” over at the Dragonsfoot old-school D&D message board for recommending Journey Quest! 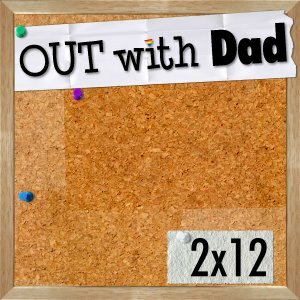 Review: Out With Dad 2.12 "Out of Mind"
I’m doing this in one post, no matter how long it gets! 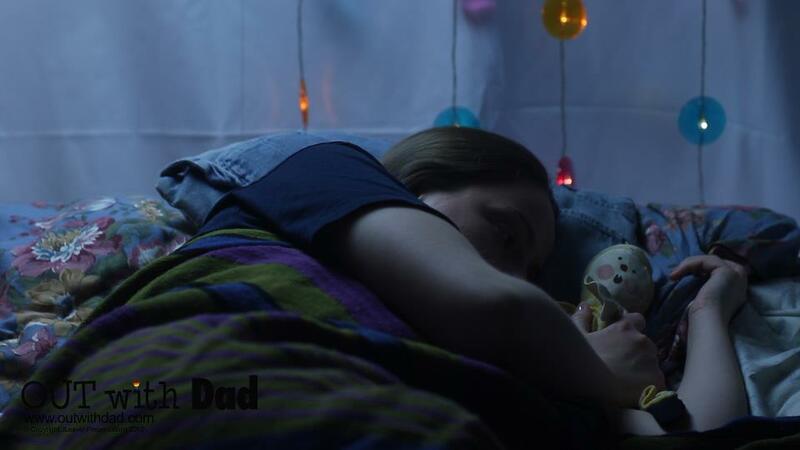 Whereas episode 2.11 of Out With Dad was very much about the interactions and reactions of our cast to society’s treatment of homosexuals, the season finale was a much more personal story. However, there is one societal issue that presents itself early in the episode. So I’ll tackle that first. This would be the issue of the girls being together in Rose’s bedroom. I recall watching the series' first episode and noticing Nathan’s reaction when he suspects Rose and Vanessa have been doing more than studying in Rose’s bedroom. I’m sure this isn’t something he’d thought about before—Vanessa and Rose were friends who hung out together and didn’t get into trouble. But when he suspects there’s something beyond friendship going on between the girls, his thoughts change. In the first episode Nathan noticeably leaves the door open before leaving Rose’s room. And Claire is right, I’m sure, about him being a little freaked out with the her and Rose being together now. I’m also sure Kenny would never have been allowed to be in Rose’s room, especially when Nathan wasn’t home. Fathers tend to be very untrusting on teenage boys. That’s because fathers used to be teenaged boys themselves. Should the rules be different when it’s two girls together? Is it only fair to treat it the same as if it were a boy/girl situation? It’s been okay for Rose up to this point, but now…are things different? There’s one big difference, though. There’s one really big thing fathers worry about happening to their teenage daughters. And that’s something that can’t happen when two girls are together. This all sets up the dream sequence as Rose subconsciously struggles with her feelings for both Vanessa and Claire. This is rather freaky! To be kissing one person and then open your eyes and it’s another person! The sequence is put together extremely well, and the loose divisions between fantasy and reality are very effective. The ending, with Vanessa showing up in the kitchen, and the finger to her lips, is perfect. And I don’t think I’ve ever mentioned music in one of my reviews, but the reprise of Late July’s “Side Swept” is just perfect as Rose rids herself of her visual reminders of Vanessa, symbolically moving on, even though it hurts. The saddest part of this to me is that Vanessa is not a bad person. She doesn’t even want to be away from Rose. She just has no choice. Rose, however, certainly can’t just sit around waiting, either. The blank bullentin board is perhaps the most powerful single image of the series! Kate Conway has elevated her portrayal of Rose to a new level. Out With Dad is, ultimately, the story of Rose’s journey. Therefore, the series really belongs to Kate more than anyone else. And I cannot praise her enough at how well she has done in her role as Rose. My understanding of acting is very rudimentary, but I think it’s amazing how convincing a twenty-something straight woman can be as a 15-year old lesbian. Of course, she’s won awards for the show, so I’m not the only one who thinks she’s doing this good! Well, Out With Dad has ended for a while, and many like me will spend a lot of time thinking about and eagerly anticipating what comes next! 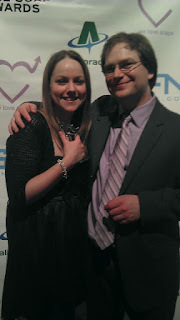 Writer/director Jason Leaver suggests watching some other webseries, including Pretty In Geek, during the break. I watched Pretty In Geek’s first episode, and I thought it was very funny and well done! I hope you check it out too. And don’t say you won’t like it because it’s about geeky things you aren’t interested in. You never know, so you might as well give it a chance! After all, I like Out With Dad even though I’m not a teenage lesbian. Another thing to do while you’re waiting for season 3 of Out With Dad is to come back here! I have more to say about the series. There are some essays bouncing around in my head that I’m going to write down eventually. I also plan to post some Out With Dad fan art. (I’ve done this before.) I encourage all the fans to produce their own fan art also! Maybe even fan fic. I love seeing how other people express themselves creatively! The final thing I’d invite you to do during the off season is totally self-promoting, but you could check out my webcomic, Mutant Elf, which can be found here! There will be a new page posted every week. Hope you enjoy it! And that's all for now! See you in a week or less! First I’d like to remind everyone about my webcomic, Mutant Elf, which can be read here and is updated every week! If you like it (or even if you don’t) please send me some feedback! I love to hear other people’s perspectives on my work. I know this is a “comic book/pop culture blog” and I don’t do this much, but please allow me to discuss some sports today. I love baseball! It is definitely my favorite sport. Yesterday the All-Star game between the American League and National League was played. The All-Star game is far better than the similar games in other major sports. In fact, I’d say it is the only game of its ilk that is a true showcase wherein the players try their hardest and the outcome is genuine. Every pitcher wants to get every batter out, and all the batters want to get that elusive All-Star game big hit! There are many stories of great All-Star games of the past and every year seems to have something new accomplished. I also love to see the interaction between the older players who have made multiple trips to this game and the first-timers, who are trying to savor what may be their only chance to play in this game. 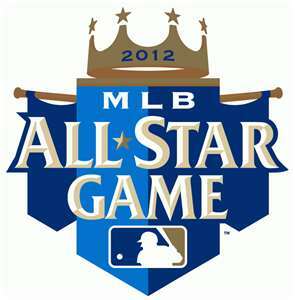 The All-Star game is known as the mid-summer’s classic, and it is a nickname well deserved! This year’s game featured the NL winning for the third consecutive year, this time by a large margin. 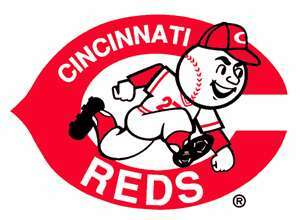 My favorite team, the Cincinnati Reds, was represented by 3 players, none of whom got a hit, but all played well defensively including Jay Bruce who caught the final out of the game! Just some ideas I thought might be worth considering! First, it involves this which I posted before, but you should watch to refresh yourself. You know, that sure took a while to type. And proofread and re-write. It would have been so much easier if you would have just watched the video from the link. Promise to do so next time, okay? In only have so much time to spend on this stuff! This make me laugh, perhaps more than anything I’ve seen on Facebook in months. (You know how people send around those images that are supposed to be really funny…but are usually just “okay”?) Also, I’m sure it pleased everyone at the party. 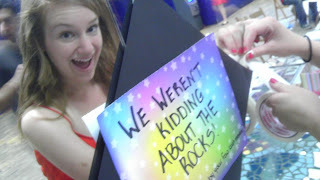 I imagine, had there been no rocks available, there may have been a scene. Great job Lindsey! The willingness to carry through on a promise is a trait far too lacking in our modern society. And if the acting thing doesn’t work out, I do have some contacts with people who sell rocks. I think you’d be good at it. This week I wanted to post some sketches I’ve done lately, but I also wanted to promote the Mutant Elf webcomic!! 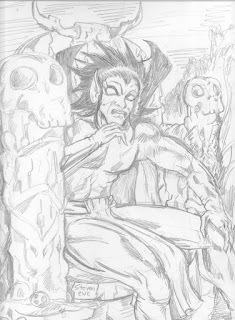 I have begun my Mutant Elf webcomic page at web comics nation. I have just one image there now, kinda a “cover” for the first chapter, but I will be updating every week with a new episode in the continuing saga of our heroes as they battle evil fairy creatures that have invaded our Earth! So please bookmark http://www.webcomicsnation.com/fedscomic/melf/series.php and check in often! Captain America in grey tones. Done with PITT markers and probably a bit too dark.